If you have never suffered from auditory issues like tinnitus or hearing loss, it is easy to take your hearing for granted. The hearing process is incredibly complex and relies upon numerous, minuscule parts. When your outer ear picks up a sound, an elaborate operation occurs so that the sound can be translated into information by the brain. Do you know how hearing works? Sounds travel through the air as vibrations in the air pressure. The hearing process begins with the outer ear collecting these sound waves. Using its funnel shape, it directs the sound waves into the ear canal. The waves pass through the ear canal to reach the eardrum, a thin piece of skin that separates the ear canal from the middle ear. Next, the eardrum vibrates, and these vibrations travel from the eardrum to the tiny bones of the middle ear, which are known as ossicles. These delicate bones, which are the smallest bones in the body, include the malleus (which means hammer in Latin), the incus (anvil in Latin), and the stapes (stirrup in Latin). 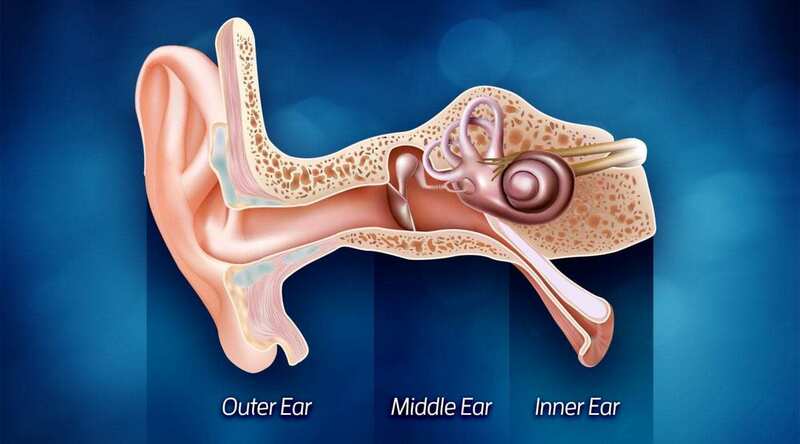 When the vibrations of the ossicles reach the inner ear, they move the fluid and the tiny hair cells in the cochlea, an organ shaped like a snail shell. This is the innermost part of the ear, and it is filled with liquid, which moves like a wave when the ossicles vibrate. There are over 25,000 hair cells in the cochlea, and different parts of the cochlea respond to different frequencies of sound: the narrow end responds to low frequencies, and the wide end responds to high frequencies. 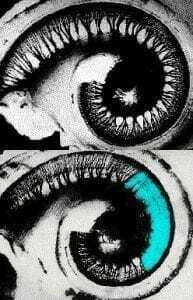 The movement in the cochlea creates neural signals that are detected by the auditory nerve, which links the ear to the brain so that they can communicate. It sends the neural signals to the brain, where they are interpreted as meaningful sounds. When the eardrum is torn, you can experience middle ear infections and hearing loss. Typically the tear will heal on its own, but sometimes surgery is required. Ruptured eardrums can occur due to an ear infection (which causes pressure to build up), a foreign object being stuck in the air (like a cotton swab), a sudden change in air pressure, or a head injury. The hair cells in the inner ear cannot regenerate, so any damage that occurs to them is permanent. When these hair cells are damaged, you will experience decreased hearing sensitivity. Listening to loud music and exposure to loud noises (firearms, power tools, airplanes) can harm your hair cells. Ear infections occur when fluid is trapped in the middle ear (typically due to a cold, allergy, or throat infection). Symptoms include ear pain, fluid drainage, and diminished hearing. The persistent fluids can cause significant hearing loss, and if the eardrum or middle ear structures become damaged, the hearing loss could become permanent. Otosclerosis is a hereditary disorder in which the stapes bone in the middle ear overgrows. The growth prevents the bone from vibrating when stimulated by sound, disrupting the hearing process and causing gradual hearing loss. Turn the volume down when listening to music, watching TV, etc. Avoid prolonged exposure to loud noises. 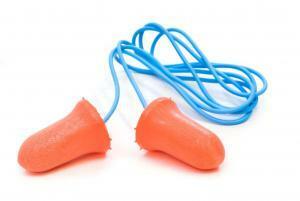 Use earplugs or noise-canceling headphones when loud noises are present. Don’t stick anything (including cotton swabs) into your ear. If you have excess earwax, ask your doctor for help cleaning it out. If you notice any changes to your hearing, consult an audiologist ASAP. Finally, if you are experiencing hearing loss, please contact the Sound Relief Hearing Center if you live in or around Denver, Colorado. We provide hearing tests, hearing aids, hearing protection, and more. Plus, we can help you discover which of these potential causes of hearing loss is responsible for your condition. To learn more about us, please browse our website, visit our Youtube channel, or give us a call at 720-259-9962. You can also schedule an appointment online to meet with one of our audiologists. We look forward to hearing from you!